My Problem is, that in the real Win 10 Startmenu the Tileconifier modded icons on the tiles disappear any other restart leaving the shortcut blank. So I got back to Start 10. I really don't like the still inconsistent mess Microsoft did with tiles and icons. 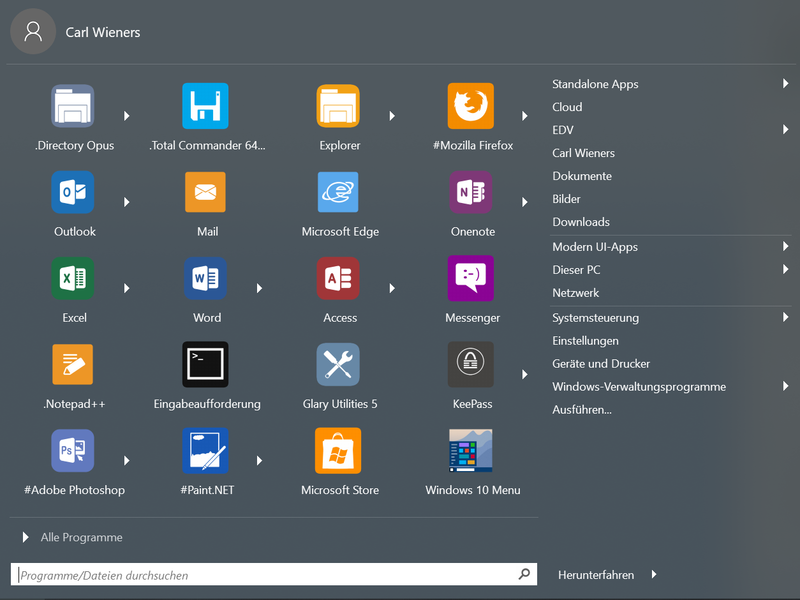 An unmodified native win 10 startmenu looks like crap with mixed tiles and old icons. I had the same problem c242, but there is a very easy fix. The problem is the windows explorer and not the TileIconifier. Just hit control-shift-esc, opens the Task Manager, (having at least one explorer window open), select "Windows Explorer" and then click on the button, in the bottom right area, that says " "Restart" and voila in one second Start Menu Tiles are again perfect! There is perfect solution, with TileIconifier and something else, just search Google and you may find it as I did.